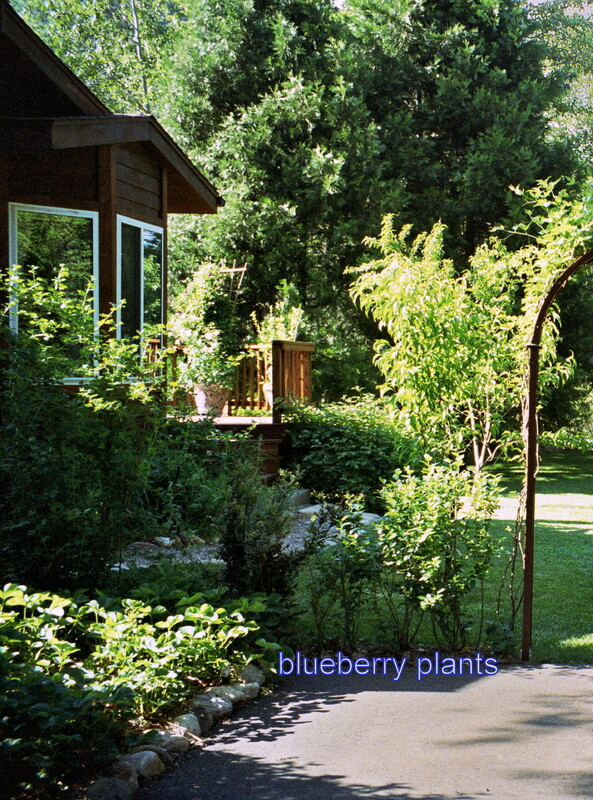 Check out picasaweb.google.com/nutrition.gardener for hundreds of fabulously inspiring garden pic’s. You can have bushels of food and aesthetic beauty too. The disheveled look in a garden doesn’t work for me either. 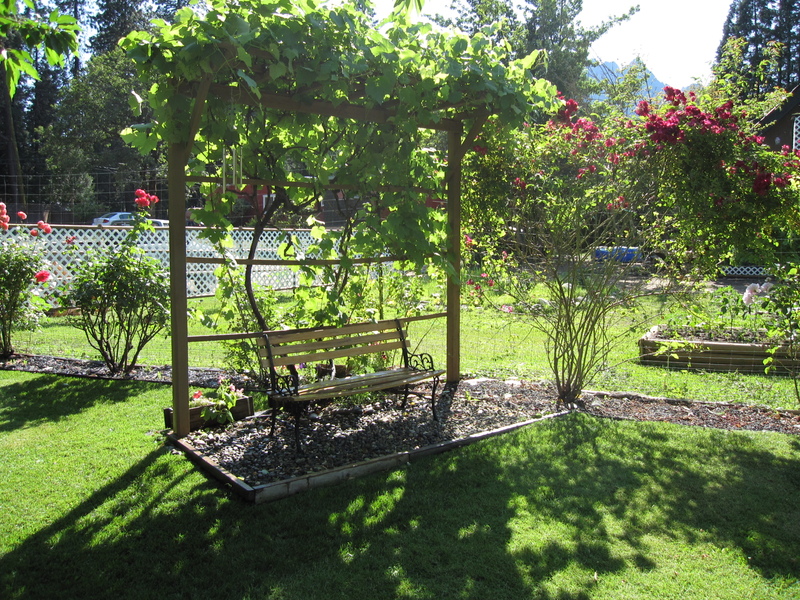 Casual, funky gardens are popular, but I lay out beds and plantings with a tape measure and grade garden areas to perfection, making room for rolling lawn areas, elegant flower beds, hammocks and dainty bistro sets Raised beds confine sprawling vegetables nicely. Also wanting to grow as much food as possible, I started incorporating edible perennials into my landscaping. 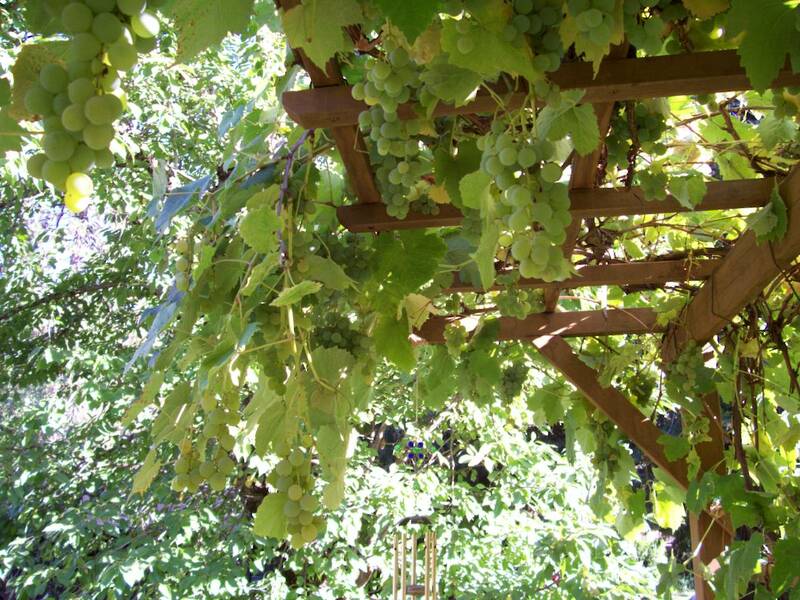 Below is an arbor supporting a grapevine loaded with grapes. 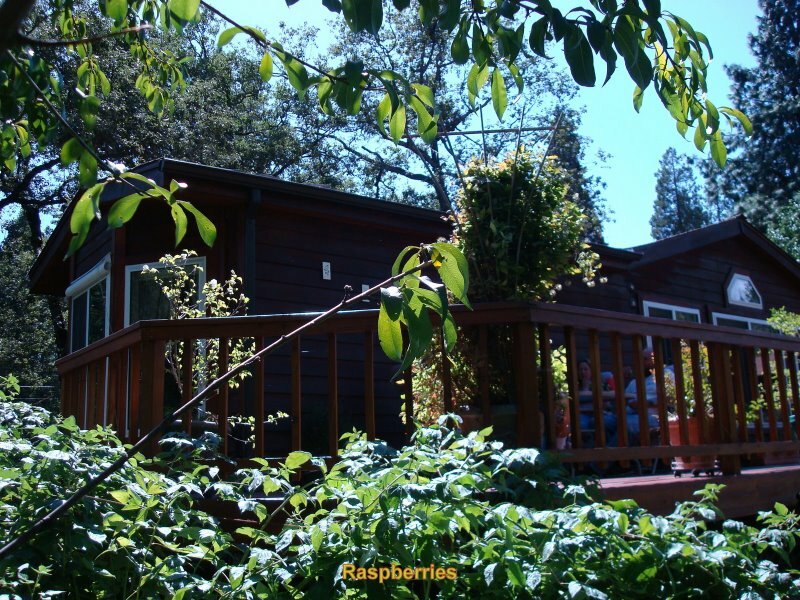 Raspberries look nice planted along the base of a deck (shown left). 3/4 cup of raspberries have 25 mg of Vitamin C and as much fiber as a slice of 100% whole wheat bread. I am always grabbing a handful from the plants to snack on as I walk by. 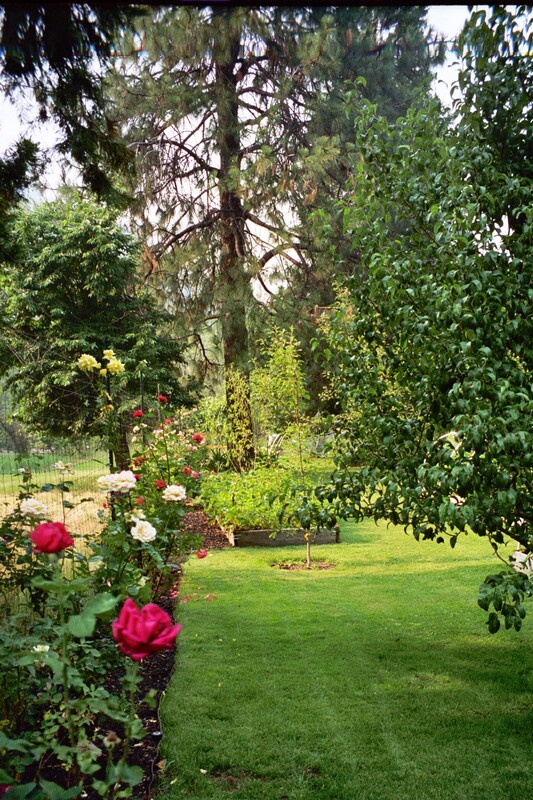 Some plants bear both in early summer and again all through fall even when everything else has died back for winter. 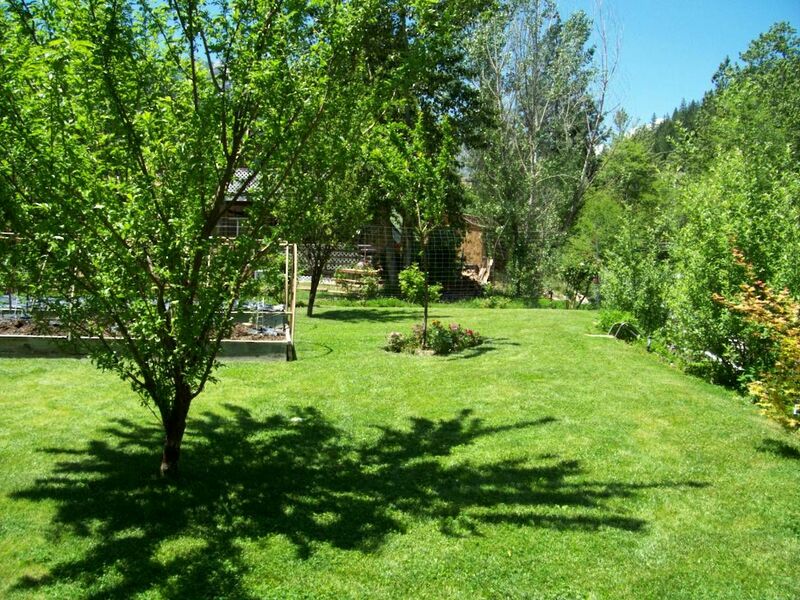 Have you thought about a landscape ground cover that is both beautiful and delicious and provides 20% more Vitamin C than oranges ounce for ounce? 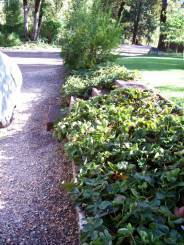 Here is a sloped bed alongside a gravel parking spot planted with strawberries. Having more than you can eat is inevitable. Fortunately, they freeze well without added sugar. Make the perfect low calorie strawberry milkshake with frozen strawberries, milk, protein powder and a little sweetener if desired. Serve thawed strawberries over plain yogurt all year. Pick up a box of No Sugar Needed fruit pectin at the grocery store and make your own strawberry jam with as little sugar as still tastes good to you. 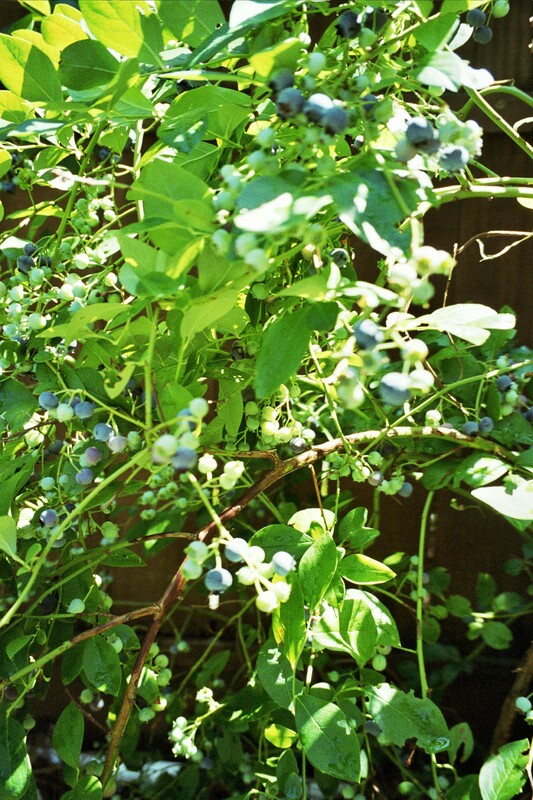 Young blueberry and huckleberry bushes form a lovely hedge (below). 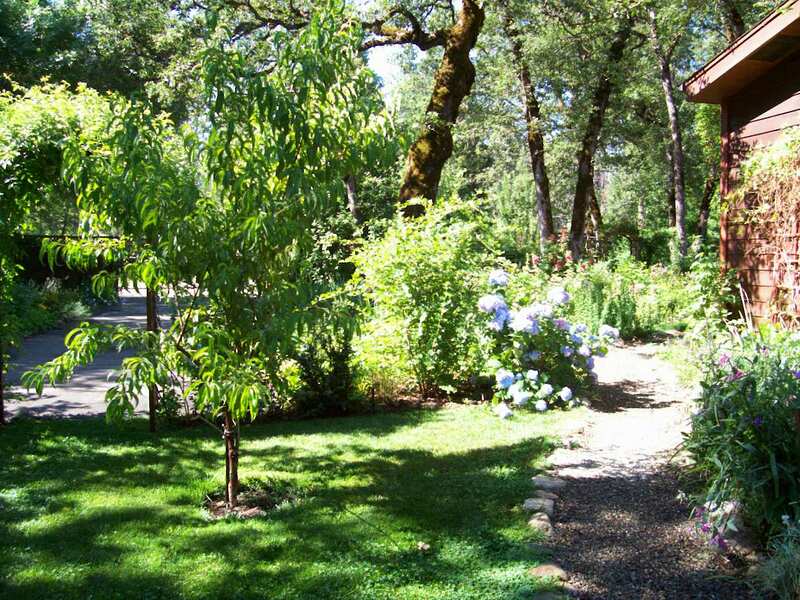 This entry was posted in Uncategorized and tagged grow fruit, landscaping, nutrition, Shasta county, Siskiyou County. Bookmark the permalink.